In the United States, Ford offers several reproduction body shells of their previous popular models. You could get either a 1965 or 1967 Mustang Convertible body shell through Ford Restoration Parts program and these body shells are officially licensed products. 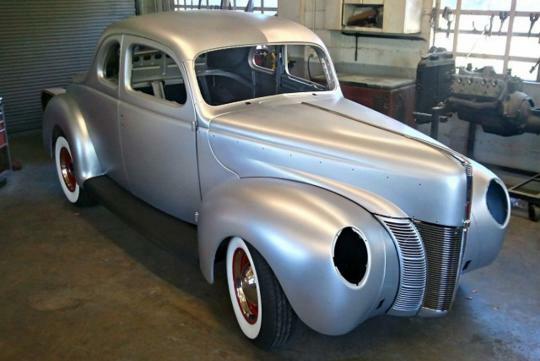 Due to the popularity of such products, Ford has included another model�s body shell to their officially licensed product line-up and this time it is a 1940 Ford Coupe. The new body shell is made from high strength steel and welded using modern welding techniques. It has also been given the full rust-proof treatment from the factory and ready to be assembled. 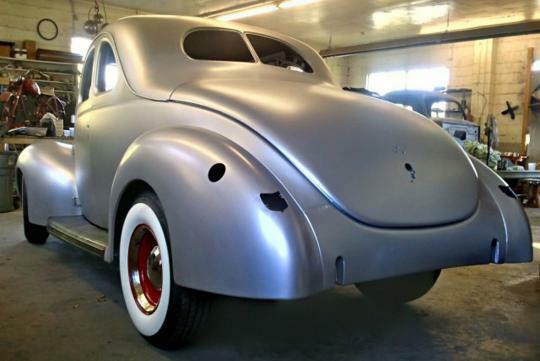 The 1940 Ford Coupe shell is clearly targeted at hot rodders and also for those who wishes to build an original piece. The shell is available in two options. For those who wish to create an original copy using the original flathead V8 engine, they should opt for the shell with a stock firewall. And for those who wish to add a more modern engine to it, the shell can be ordered with a recessed firewall which allows much larger engines to fit. On top of the body shell, there are other officially licensed parts available for the 1940 Ford Coupe which would be perfect for those who intends to build one from scratch. And how did the reproduction of these parts came about? Car restorer, Dennis Carpenter had some trouble searching for an original set of dash knobs for a 1940 Ford Coupe that he was restoring. Eventually, he approached Ford to get permission to reproduce the parts from original factory blueprints. Today, he has expanded the number of licensed parts from Ford for this particular model. The body shell, including other parts is available through Dennis Carpenter Ford Restoration Parts and the body shell was recently showcased at the 2012 SEMA auto show.